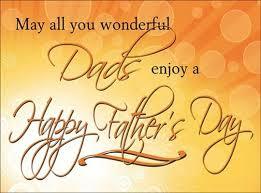 I know it’s Monday but I am digressing to yesterday and wishing all of you Fathers out there: Happy Father’s Day! And since I am on the subject, I want to tell you about my Dad. As a typical daughter, my Dad was the first man in my life and he was amazing. He came from a very poor family, they rented land in mid-Florida and farmed. He went to school for the first 6 grades in a one-room schoolhouse where all six grades were taught. Upon moving to Miami where he went to high school, he did very well in sports, even though he was 5’10 and 145lbs. He always said he was thankful that he did well in academics and sports as they both enabled him to receive a scholarship from University of Miami where he played in the first Orange Bowl game. He went on to marry and raise 6 of us kids. He taught us the meaning of humility. If you take on a job then you do it the best you can or don’t do it at all. And what is most meaningful is your good name, for (and I use his words) if you besmirch (or tarnish) your good name you can never get it back. And last but certainly not least there is no middle ground, it’s either black or white…there is no gray when it comes to your principles. So there is a minor view of my Dad, he has been gone for 10 years and I miss him to this day! So Happy Father’s Day, Dad. And to all of my Readers,especially you REALTORS, read the D.A.N.G.E.R. Report, it is enlightening as well as irritating. This entry was posted in 2015 President Elect, 2016 President, Conversations and tagged Dad, Danger Report, Father's Day, Florida REALTORS, REALTORS. Bookmark the permalink.